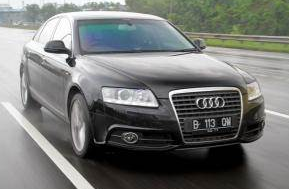 S-line logo emblazoned on the large front grille typical of Audi, as well as in the front fenders. Rows of LED (light emitting diode) lights lined up on the front that serves as a 'day-time running light', complete with its washer. While at the rear, LED lights function as brake lights are bright, but not blinding. 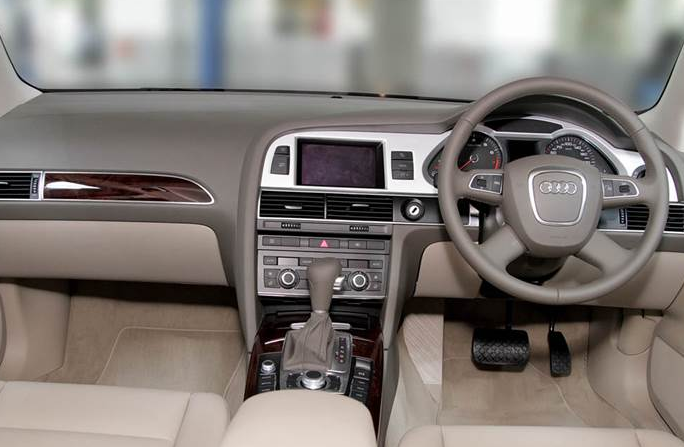 As for the inside, the interior bandage beige and gray, as well as wood panels create an impression of a sporty as well as luxurious. 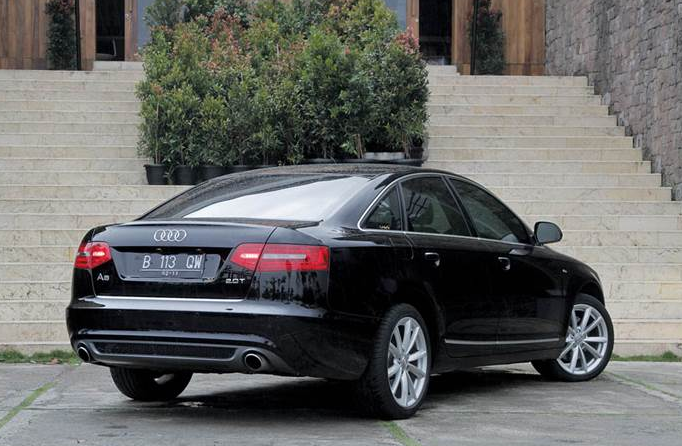 As an executive class car, no doubt the quality of the cabin, and Audi is famous for the cultivation of the interior tidiness. Leather-clad seats give an elegant look that is condensed on the interior of the A6 S-Line. Some sophisticated equipment such as air conditioning with 'dual zone temperature control' and Bluetooth connection into a standard feature. The placement of the buttons is also arranged neatly in the center console, so that makes it convenient and not difficult to find when driving. 4-link front suspension and the trapezoidal-link double wishbone with anti-roll bar. In fact, the cabin has been able to muffle the sound of the engine and the outside with a good breeze. 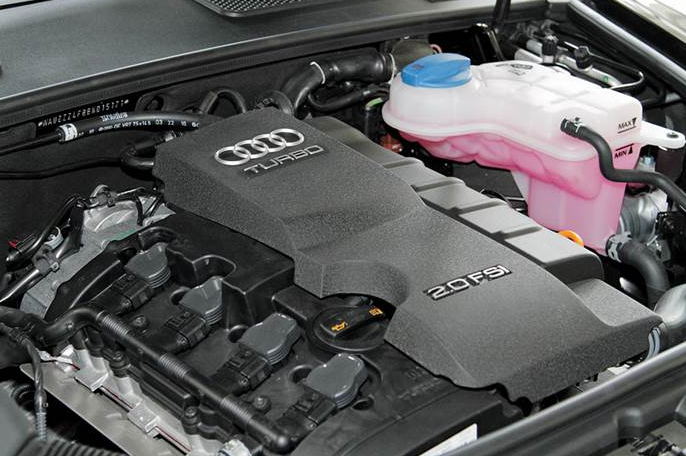 When powered on, the 2.0 TFSI engine noise sounded so soft from inside the cabin. Shortly after the gas pedal is stepped, the response was quite good and does not feel stomping. The smooth engine speed dating automatic transmission 7-speed multitronic are smooth and admirable. 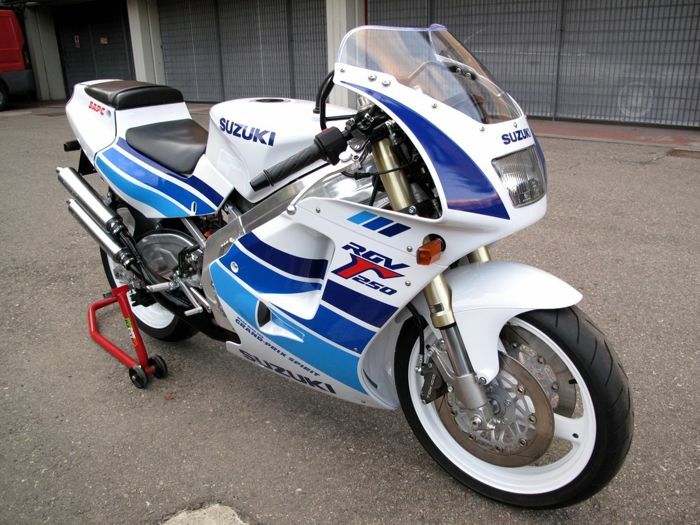 4-cylinder turbo engine that powered 167 hp was 'contained' to upper rpm. As a result, there is no sense to worry about losing power boost when maneuvering. Sporty suspension tuning (for some markets this car comes with a suspension modes: sporty) plus 18-inch alloy wheels so pronounced effectively provide convincing control. Control fairly quickly and accurately, thereby foster a high sense of confidence when moving following the path of other vehicles. 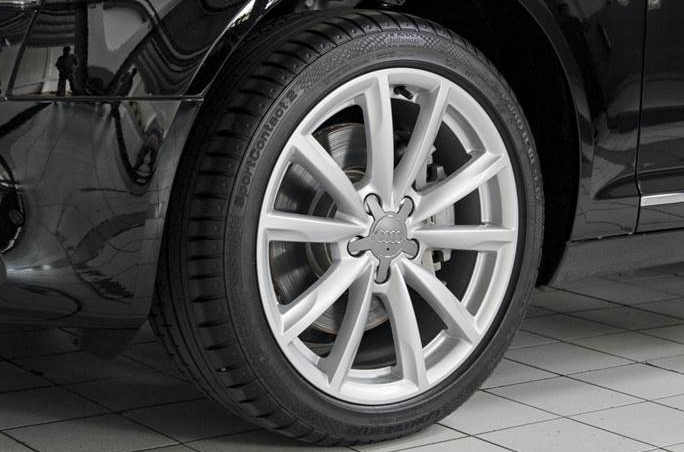 It's just, as compensation for large wheels with tires slim profile. A6 2.0 TFSI S-Line may be one of the few cars that are able to combine the performance, control, and comfort of the interior pretty well. Overall it feels A6 S-Line is satisfactory. This car will obviously be able to fight back against the onslaught of Mercedes E-class and BMW 5-Series.